All Minipan machines can be used with automated systems to simplify the production process, reduce manual intervention and labor costs, save time and increase productivity. Our automatic rack loader and unloader is designed for artisanal and industrial bakeries to provide increased productivity. 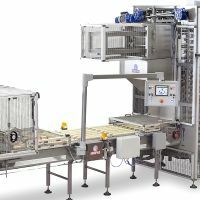 The baking trays are delivered by a conveyor to the rack loader then transferred to an elevator that fills the empty racks. The line operates continuously with one rack loaded by the elevator and a second empty rack on standby. This line features a user-friendly touchscreen control panel and a robust structure. 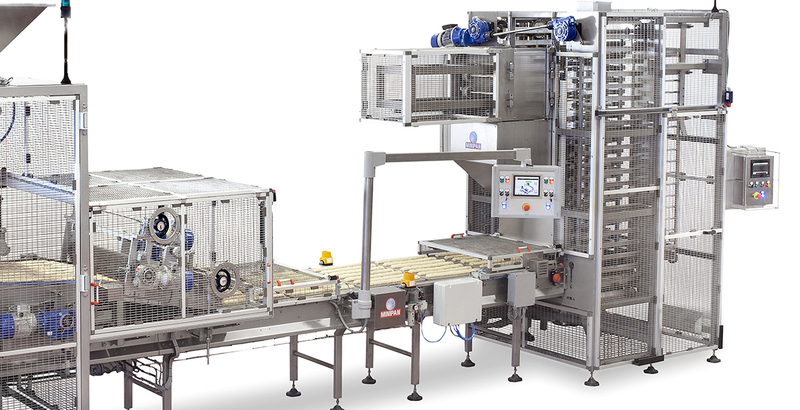 Minipan’s rack loading system can accommodate trays and racks of any size and can be interfaced with any machine. Once again we provide the flexibility to satisfy your demands. Want to know more about the rack loader and unloader?